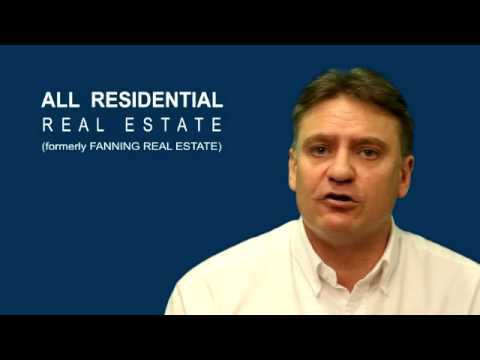 All Residential Real Estate (formerly Fanning Real Estate) is a boutique agency that specialises in residential sales and property management. Our vision is to be the company which provides the highest level of customer service. So how do we achieve this? Firstly, we believe that real estate is as much about people, about YOU, as it is about your property. It’s about how you feel when you buy, sell, have managed or rent a property through an agent. With All Residential Real Estate, you’ll get an experienced team of agents working for you who you can trust, who behave with integrity and respect, and who take pride in the high standard of service they provide. And we’ll keep you informed every step of the way, so you always know what’s going on with your property... because we understand that frequent communication helps keep your stress levels down! You’ll get the benefits of the latest technology combined with a high quality marketing program. This means we can connect your property with a large number of people, so whether you’re looking for a buyer or a tenant, you’ll get fast results and a premium price with All Residential Real Estate. Our clear systems and processes mean you’ll get the same high quality service every time you deal with us. That’s why our customers come back to us time after time and recommend us to others. In fact, we’re so passionate about providing a high quality service that we survey every customer to find out what they think about us. We use this feedback, any new ideas and different solutions to continually improve our service ... so you get the best possible experience when you sell or rent out your property with All Residential Real Estate. We’re really proud of what our customers tell us about our service. We’d like you to be one of our happy, satisfied customers too! So, to experience our superior customer service for yourself, complete the form on the right of this page or call us today on 4228 2555.